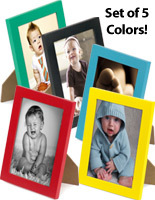 These 5x7 colorful fancy steel frames are a great way to showcase art, custom photos and even signage at home, in the office, in a retail environment and more. 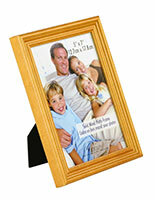 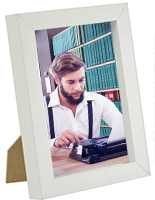 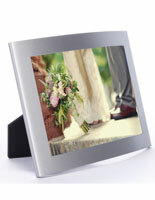 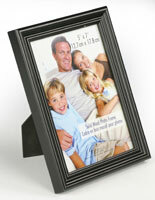 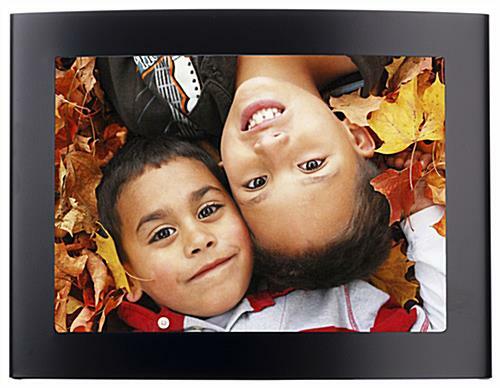 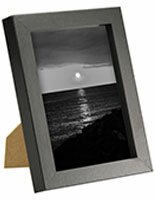 Each picture holder is designed with a stylish concave design and features a neutral black finish. 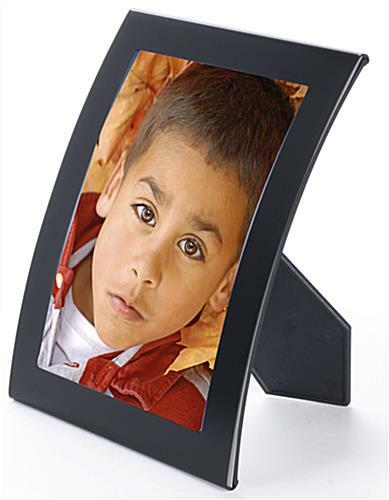 Attention-getting colorful fancy steel frames can be used alone on table or countertops or in conjunction with other wall display styles for complementary custom-looking photo or art groupings. 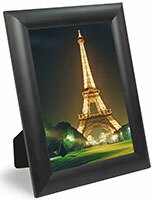 Bright colored red and yellow finishes are available in addition to elegant neutral black. 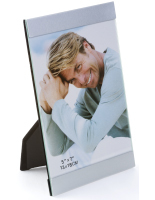 The fancy steel frames for tabletop use are made from durable steel and feature a slide-in backer with integrated easel stand and a lightweight protective acrylic graphic cover. 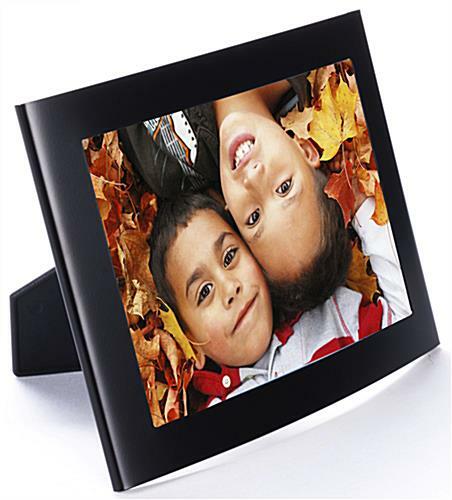 These boldly colored picture accessories are sure to make an impact in any location, whether at home, in the office or in a retail or commercial environment. 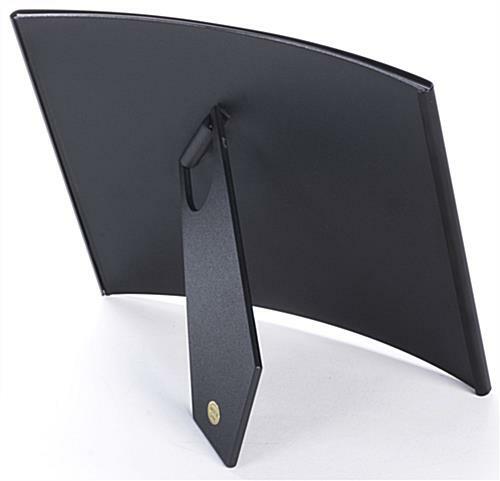 32.0" x 8.0" x 0.25"